DE Master Blenders is owned by JAB Holding Co, the very private and wealthy investment arm of the billionaire Reimann family (their fortune comes from the Benckiser chemicals company, founded in 1823 which through a series of deals became the FTSE 100-listed Reckitt Benckiser). It agreed to pay Mondelez International $5-billion in cash to create the world’s second-biggest coffee company and step up the challenge to Nestle. A company led by JAB will combine Mondelez’s coffee unit with DE Master Blenders 1753, giving it control of brands such as Jacobs. 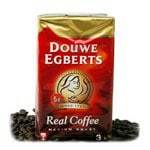 Mondelez will gain a 49 percent stake in the new company, which will be named Jacobs Douwe Egberts and based in the Netherlands. The move is the latest step from JAB to consolidate in coffee. The company, co-headed by former Reckitt Benckiser Group CEO, Bart Becht, last year bought Master Blenders, the Amsterdam-based maker of Douwe Egberts, for about 7.5 billion euros ($10.4 billion). That transaction, the industry’s biggest deal ever, was followed by purchases of Peet’s Coffee & Tea and Caribou Coffee. The new company will hold leading market positions in more than two dozen countries and have a strong emerging market presence, giving it significant revenue synergy opportunities in the $81-billion global coffee category. The two companies own some of the world’s leading coffee brands, such as Jacobs, Carte Noire, Gevalia, Kenco, Tassimo and Millicano from Mondelez International and Douwe Egberts, L’OR, Pilao and Senseo from DE Master Blenders 1753. “Jacobs Douwe Egberts will leverage the rich histories of both companies, combining our complementary geographic footprints, portfolios of iconic brands and innovative technologies to offer more people around the world more access to high-quality coffee and allowing the company to capitalise on the significant growth opportunities in a highly attractive market,” said Pierre Laubies, CEO of D.E Master Blenders 1753 and prospective CEO of the combined company. The merged entity will have sales in excess of $7-billion and be the market leader in countries such as France and Austria. The transaction, which excludes Mondelez’s coffee business in France, should close next year. Mondelez said the deal will allow it to focus on its snacks business which includes Cadbury’s chocolate and Oreo cookies. The coffee merger is the by-product of a series of carve outs from previous mergers and acquisitions. Mondelez was spun out of Kraft Foods in 2012 after the hostile takeover of Dairy Milk maker Cadbury, while DE Master Blenders was carved out of US frozen foods group Sara Lee. “A combined DE Master Blenders/Mondelez coffee business will likely make for a formidable competitor for Nestle,” Jeff Stent, an analyst at Exane BNP Paribas, wrote in a note shortly after the deal was announced. Nestle, based in Vevey, Switzerland, is the world’s biggest coffee maker, owning Nespresso, Nescafe and other brands. The purchase of the Mondelez division follows a surge in prices for coffee. Robusta coffee futures have climbed 27 percent this year to $2,142 a metric ton in London, and are up 6.6 percent in the past 12 months. Arabica coffee futures surged 83 percent this year in New York to $2.0305 a pound, advancing 42 percent in the past 12 months. For Mondelez, the transaction “removes a volatile asset from the company while allowing it to retain an equity stake in the combined company,” Chris Growe, an analyst at Stifel Financial Corp in St Louis, said today in a note. Mondelez boss Irene Rosenfeld has also unveiled a $3.5bn restructuring programme which will include a reduction in the company’s workforce.